Author: Skinner, Tina Set In . . . 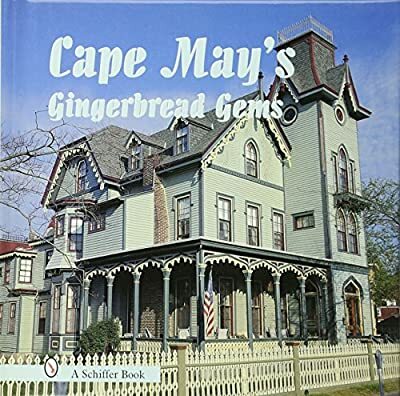 Description: Sixty-five color images of summer cottages and guesthouses create a treasured souvenir for all who have visited New Jersey's southern cape, and an indispensable reference for anyone who loves Victorian Era architecture and exterior ornamentation.\nThis is a visual smorgasbord of Victorian architecture and ornamentation, adorned with sparkling coats of colorful paint. Gorgeous examples of Carpenter Gothic, Gothic Revival, Italianate, Second Empire, Edwardian, American Bracketed Villa, and Stick Styles are presented. Most date from the late 1800s to the early 1900s, and all are dripping with finely wrought wood bric-a-brac and ornaments. Includes work by celebrated architects Frank Furness, Samuel Sloan, and Stephen Decatur Button. This selection of summer cottages and guesthouses was drawn from one of the greatest collections of late 19th century buildings in the United States.